For decades, hardware has reigned as king in the network, but the deluge of hype surrounding cloud, virtualization and software-defined networking has some asking how long physical network gear can hold on to its crown. 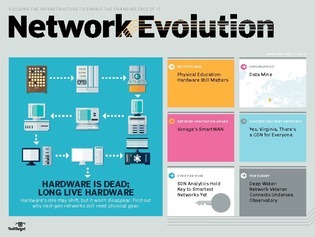 As we see in this issue of Network Evolution, however, even in today's networks, hardware still has a firm foothold – and won’t disappear anytime soon. Find out how early adopters are using hardware in their virtual environments.